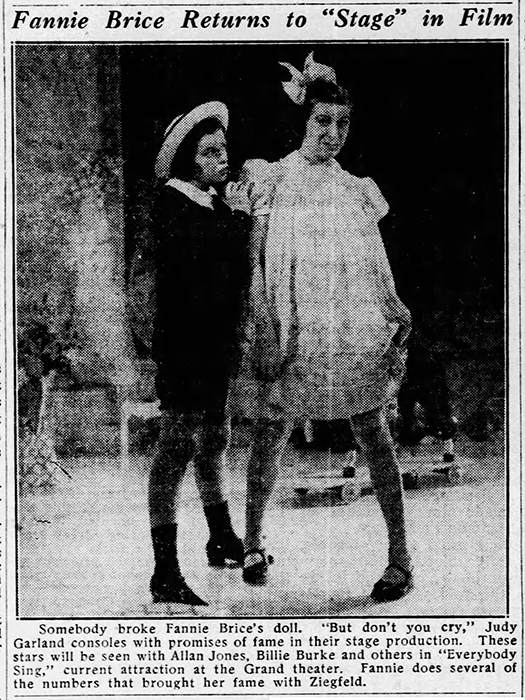 February 6, 1933: The first of a two-night engagement for “Baby Gumm” (Judy) and another young performer named Claire Williams, at Judy’s father’s theater, the Valley Theater, in their hometown of Lancaster, California. 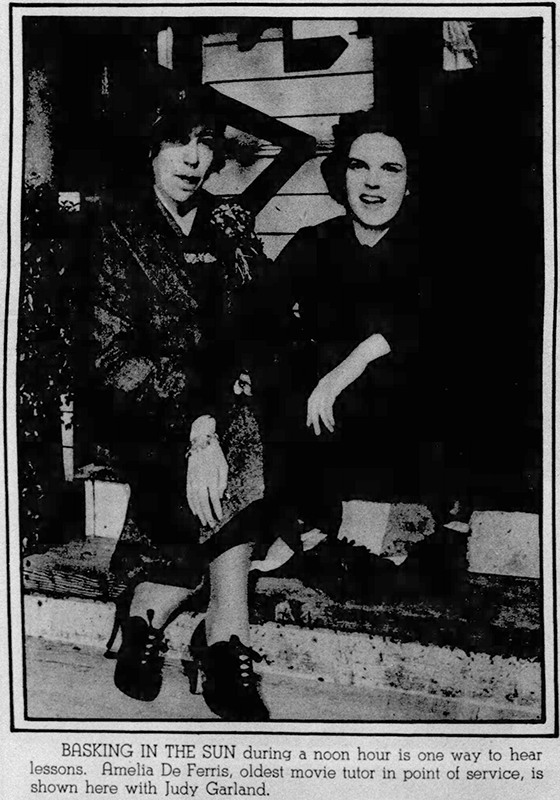 February 6, 1938: Here’s an unusual photo of Judy with movie tutor Ameilia De Ferris who apparently was the oldest movie tutor still working and it looks as though she tutored Judy, maybe even during the production of The Wizard of Oz. 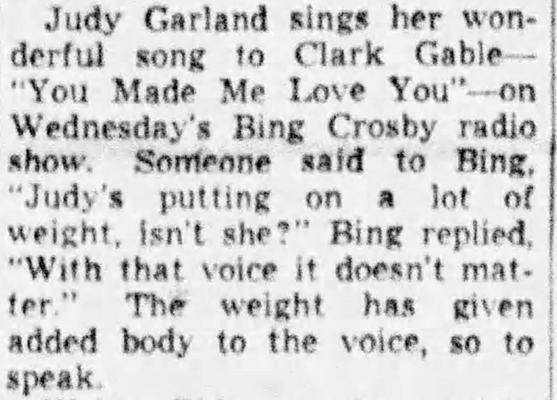 February 6, 1938: Everybody Sing. The film had just opened in January and was proving to be a popular and critical success. 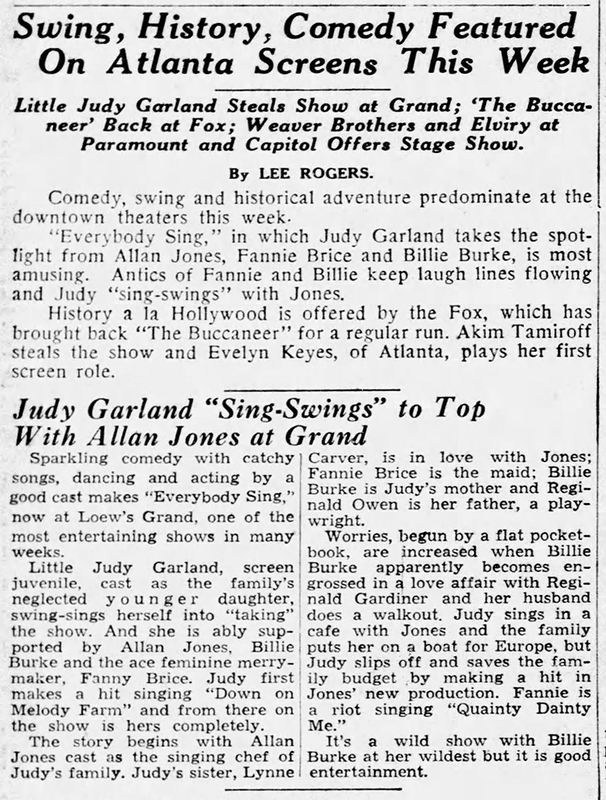 It was the first film to focus on Judy as the main character. 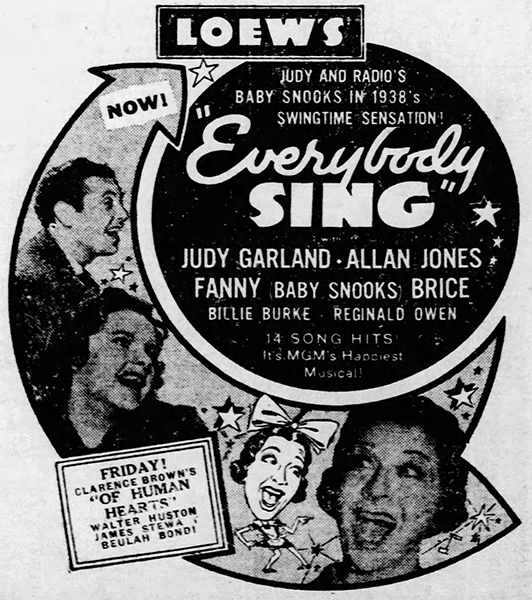 She and co-star Allan Jones were the top names in the ads and posters (some with Judy listed first, some with Jones listed first). 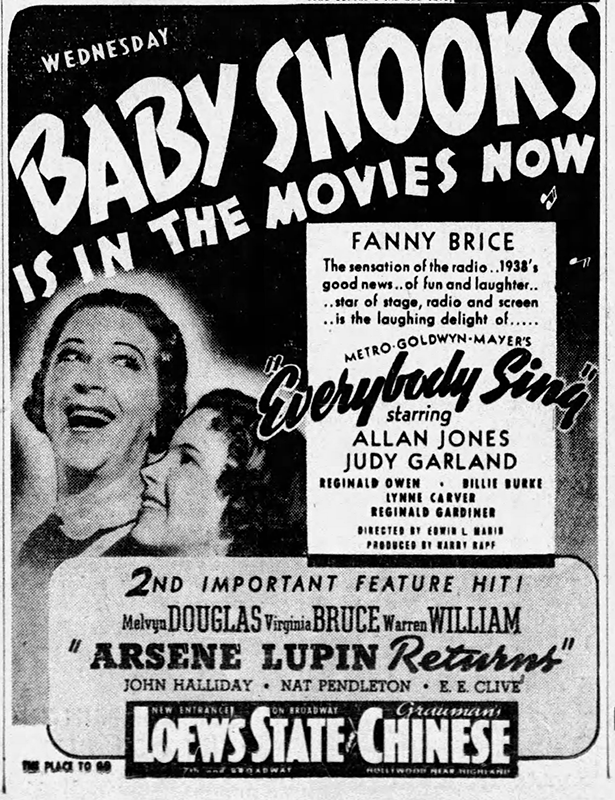 Judy proved herself to be a viable box office draw. 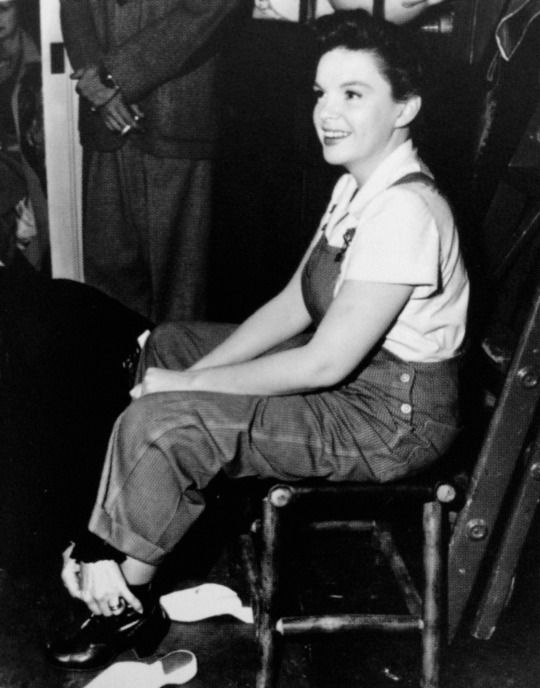 February 6, 1940: Judy’s weekly appearance on “The Pepsodent Show Starring Bob Hope” on NBC-Radio. 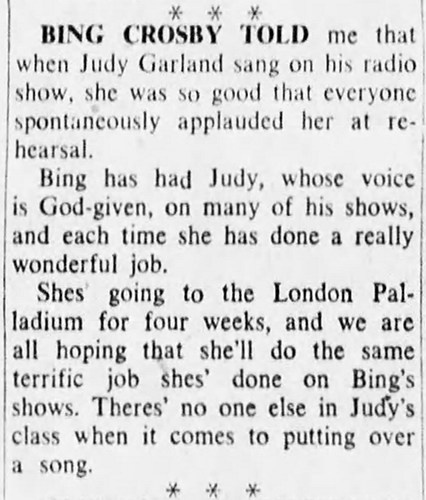 Judy sang “You’re A Lucky Guy.” No recordings of this show are known to exist. Photo: Judy with Bob Hope and series regular Jerry Colonna. That much is true. 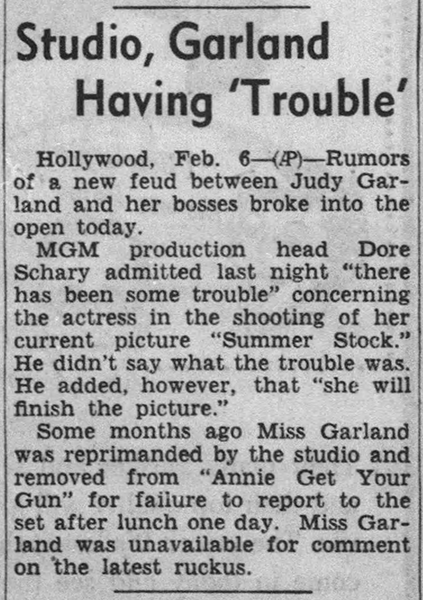 Before Judy’s contract was up for renewal in 1947 MGM knew she did not want to resign, instead, she wanted to freelance. 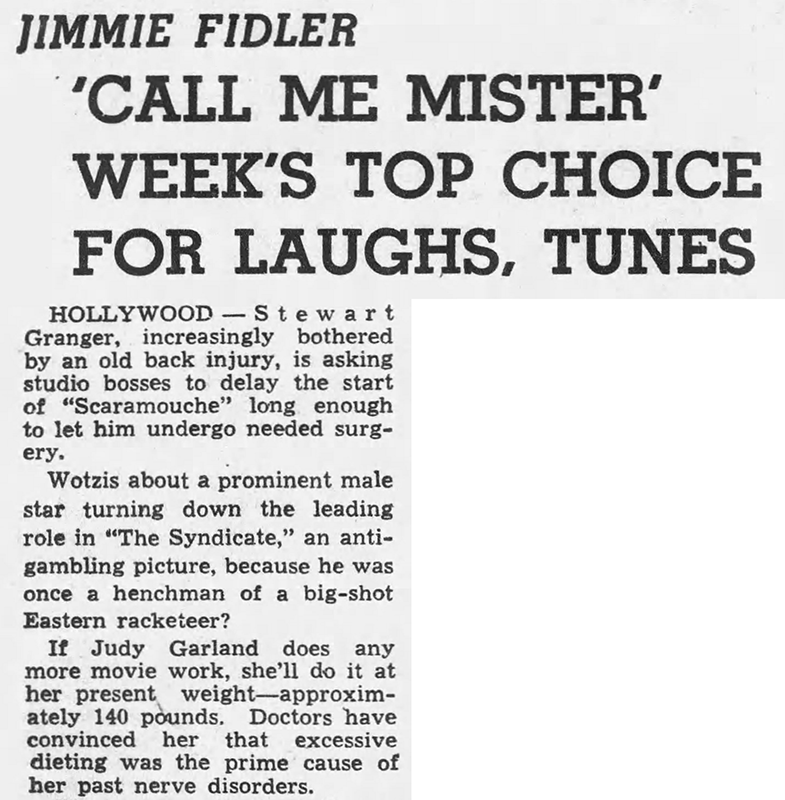 In January 1946 they convinced her to sign a new seven-year contract that went into effect on January 2, 1947. 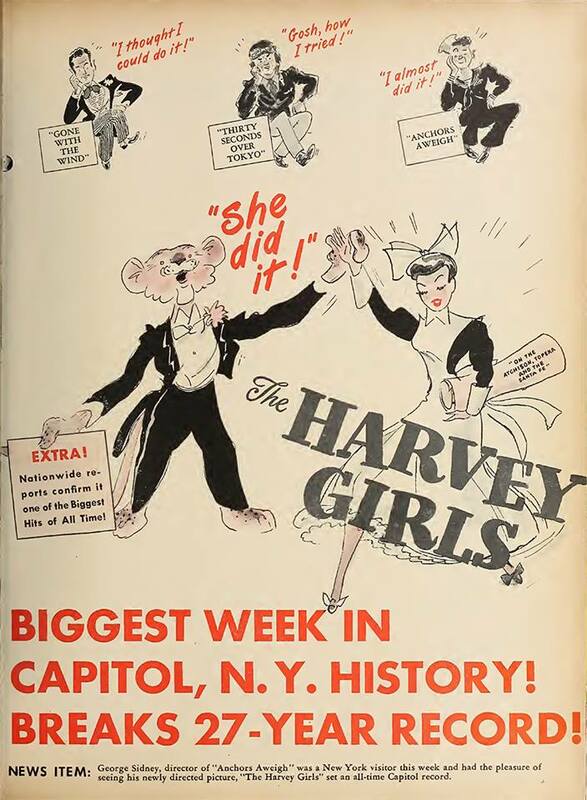 February 6, 1946: This ad appeared in the Film Daily trade paper promoting Judy’s latest big hit, The Harvey Girls. 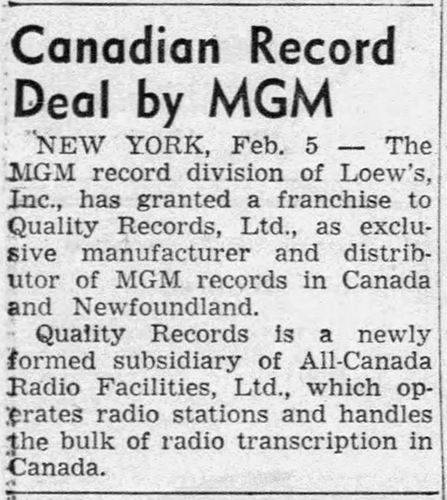 February 6, 1949: MGM Records entered into a deal with Quality Records, Ltd., as the exclusive distributor of MGM records in Canada and Newfoundland. 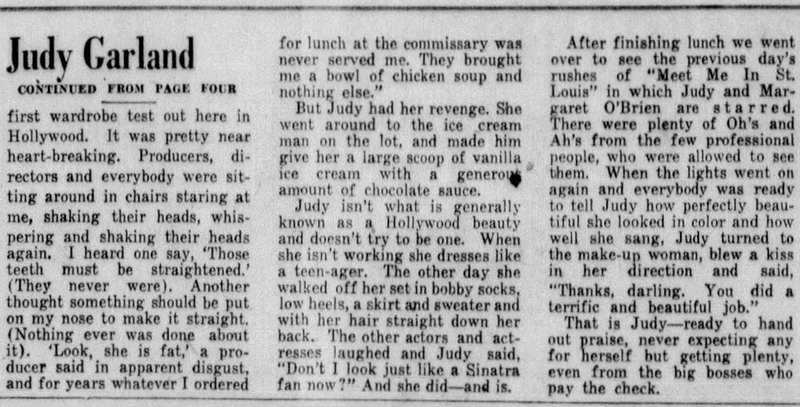 February 6, 1950: Judy’s struggles with MGM and the filming of Summer Stock was making the papers. 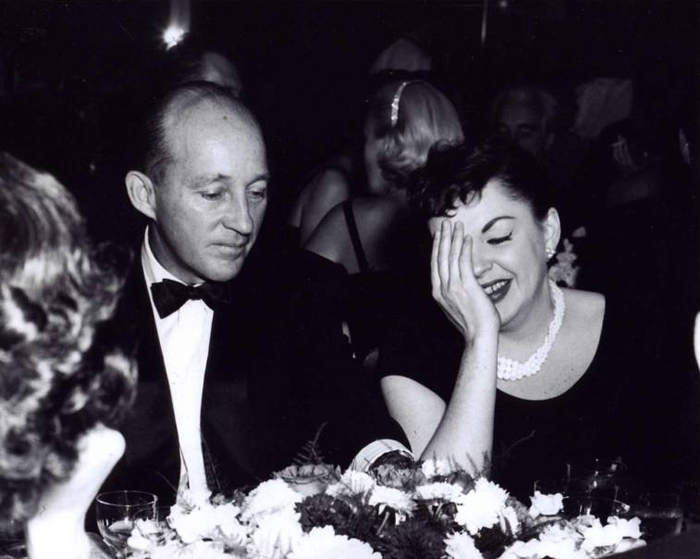 The reality is that Judy’s issues at MGM for the past several years were the worst kept “secret” in Hollywood. 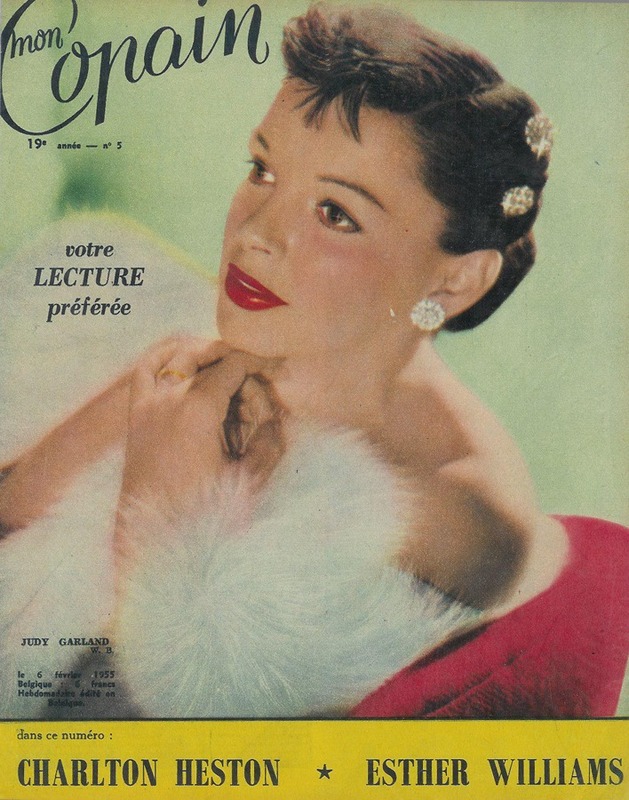 February 6, 1955: “Mon Copain” magazine cover, promoting A Star Is Born. Scan provided by Kim Lundgreen. Thank, Kim! 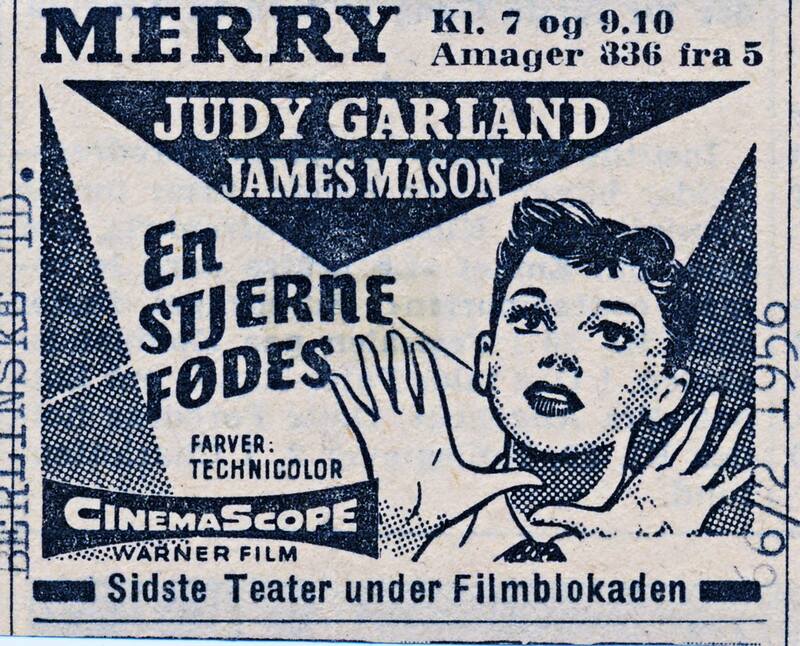 February 6, 1956: This fun ad promoting A Star Is Born appeared in Danish newspapers. 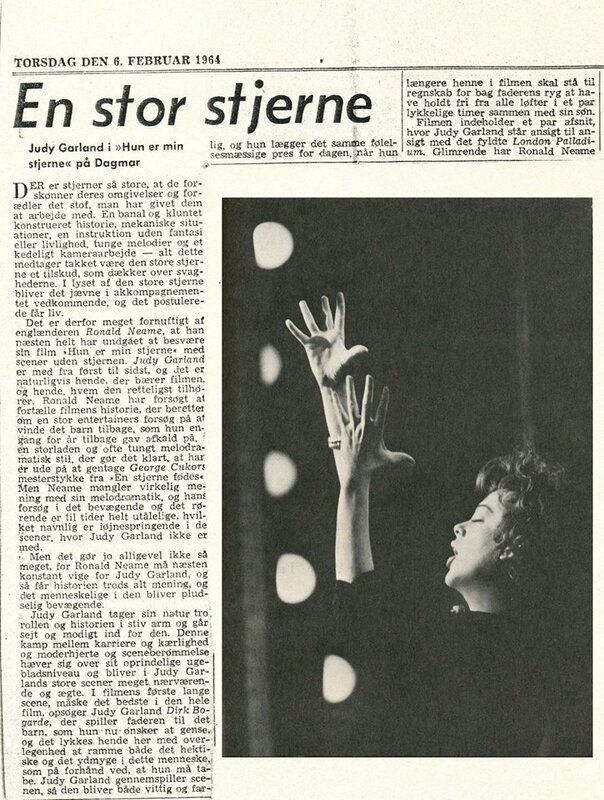 February 6, 1957: The first of three sessions for Judy at the Capitol Records studio in Hollywood, California, for the “Alone” album, orchestrated and conducted by Gordon Jenkins. 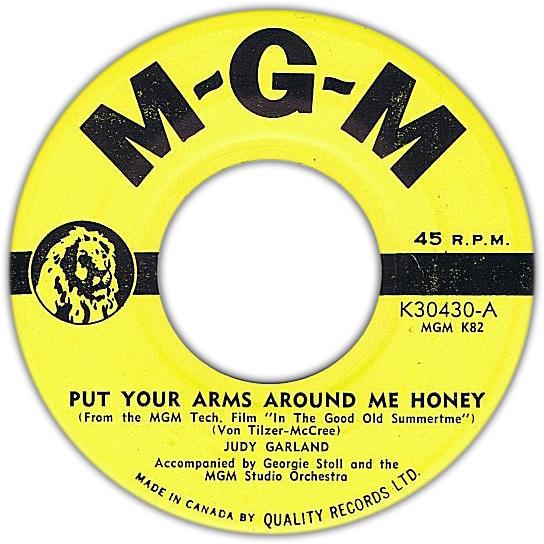 The album, a collection of blues and songs of solitude, is a favorite among Garland fans and one Judy’s very best with some fans placing as their all-time favorite. 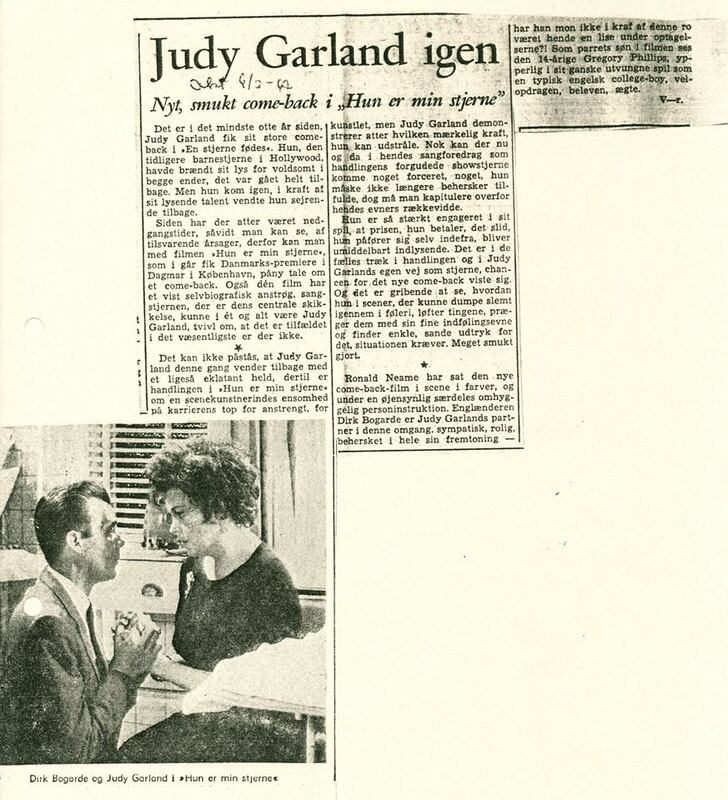 February 6, 1963: These reviews of Judy’s last film, I Could Go On Singing, appeared in the following Danish papers: The Aktuelt; Berlingske AftenAvis; Berlinske Tidende; Information; Land & Folk. I don’t speak or read Danish, so I can’t translate the text. February 6, 1965: Judy few to Toronto from New York (where she had been staying in Miriam Hopkin’s townhouse), for her next engagement, staying at the King Edward Sheraton Hotel, suite #844. Judy gave concerts at Toronto’s O’Keefe Center on February 8th, 9th, 11th, and 13th. Photo: Judy in concert during one of her nights at the O’Keefe Center in Toronto.